In the 19th century, new cemeteries were designed for more than the dignified internment of departed loved ones. The landscape or garden cemetery provided much needed green open space for increasingly crowded cities. Cemeteries were the first public parks, where people came to picnic, relax and court. 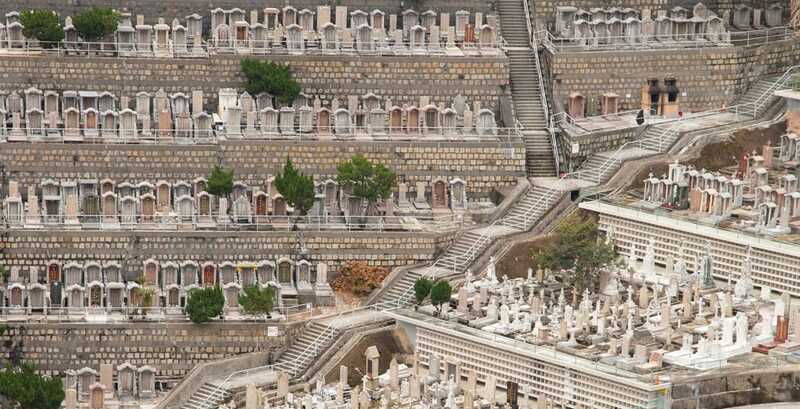 The pressure of today’s growing and diversifying populations and expanding cities are, again, challenging cemetery design, as well as burial practices. 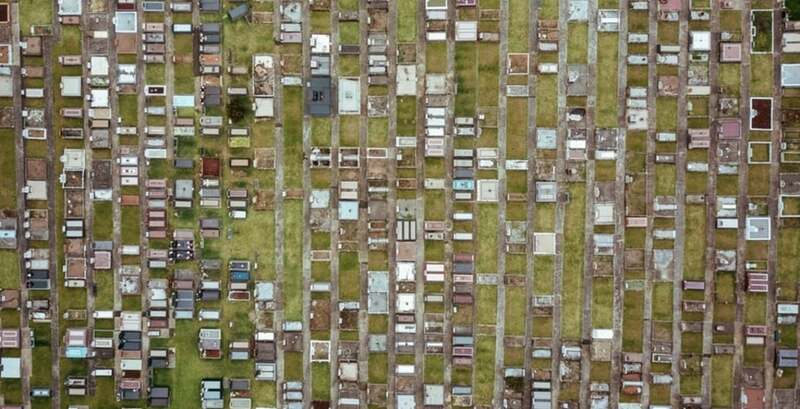 But as well as century-old concerns regarding space and the potential health risks of living close to overcrowded urban burial grounds, a new raft of threats are emerging. Modern burial practices have evolved to become highly toxic contributors to landscape contamination. 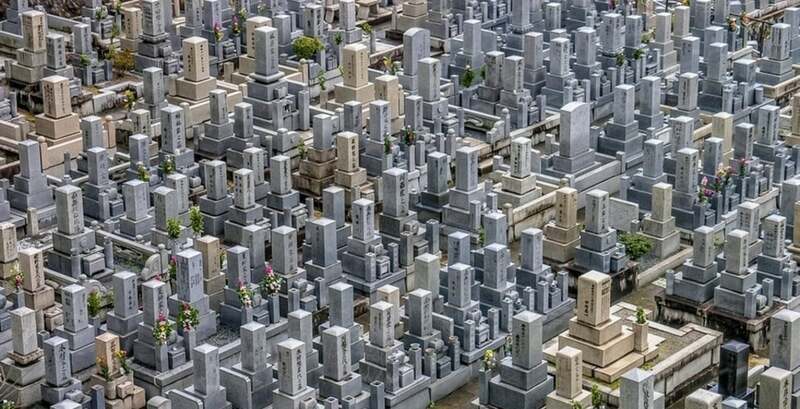 Cemeteries are among the most toxic of modern landscapes in both their immediate and ongoing environmental impacts and intensive use of resources. The 2014 documentary A Will for the Woods outlines the problem of a typical American-style funeral, citing the toxic, resource-intensive materials of caskets that have become common in much of the world. “In the U.S. alone, approximately 33 million board feet of mostly virgin wood, 60,000 tons of steel, 1.6 million tons of reinforced concrete, and five million gallons of toxic embalming fluid are put into the ground every year.” They note further the large tracts of land and high maintenance of constant mowing, watering, and the application of chemicals. Cremation is mistakenly thought to be more green. It actually releases considerable particulate pollution, CO2 (approximately 50 kilograms per cremation, on average), and toxins such as dioxins, furans, and mercury into the atmosphere. Then there are a host of more modern elements such as mercury from dental fillings, pacemakers, esophageal tubes and other body implants which leach into groundwater once the body has decayed. 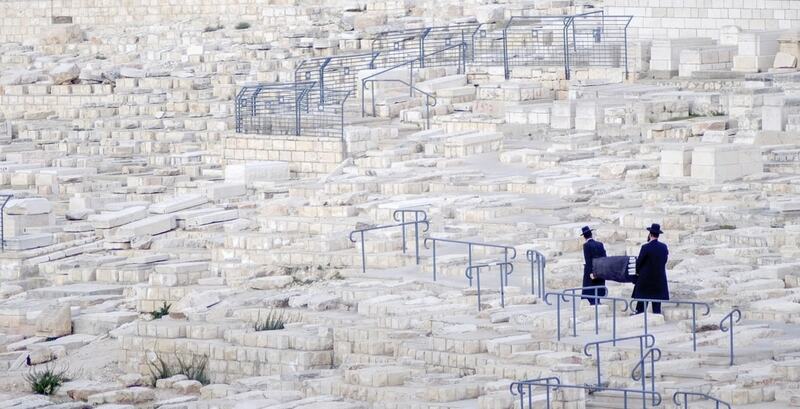 Another significant pollutant emerged as people began to be buried with their mobile phones and other electronic devices. The trend was noticed in the United States when batteries started exploding during cremations. Various environmentally-friendly techniques are being explored to dispose of bodies, including freeze-drying, shattering and dissolving. These offer significant space and land savings with minimal energy use and pollution compared with cremation. They also offer new, as yet unexplored, potentials for interment design and funeral landscaping. Various environmentally-friendly techniques are being explored to dispose of bodies, including freeze-drying, shattering and dissolving. 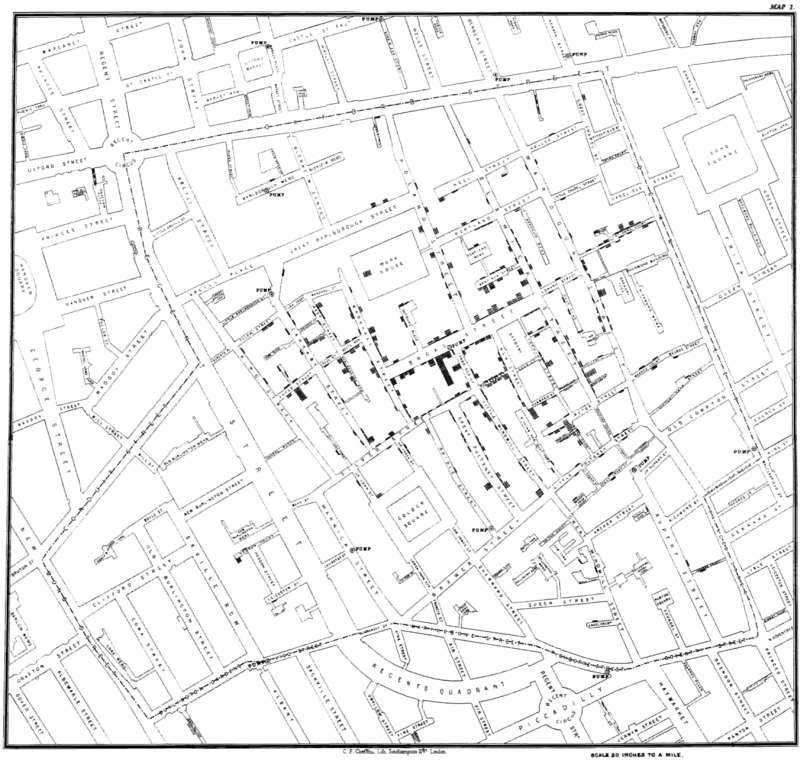 Dr John Snow’s famous infographic map of Soho water pumps and household occurrence of cholera. Each death is shown as a short thick line parallel to the street at that address. Testing showed that the water of wells nearest the most fatalities were contaminated. The mass-migration of rural workers to cities during the industrial revolution in Britain meant that new urban cemeteries were needed. However, so too was recreational open space. Long before Birkenhead Park inspired Frederick Law Olmsted’s Central Park in New York, landscaped cemetery-parks of Europe such as Pere Lachaise Cemetery, which opened in 1804 in Paris, quickly led to similar cemeteries in the United States. The same motivations to provide public parks for healthful recreation encouraged ‘rural’ cemeteries to provide a soothing, meditative natural environment and escape from urban crowding. Mount Auburn Cemetery near Boston, consecrated in 1831, was the first rural, or garden, cemetery in the United States and stills serves its dual role as sacred site and pleasure ground. Olmsted worked closely at the Sanitary Commission with Montgomery Meigs, quartermaster general of the Union Army during the Civil War. Meigs sought Olmsted’s advice in landscaping cemeteries. Olmsted prophetically warned that the current fashion for elaborate and artificial gardening should be avoided because it would disappear and advised planting a sacred grove for the war dead using indigenous trees. The pursuit of urban environments inclusive of the civilising influence of nature was a project that attempted to mitigate the pollution – literal and figurative – of the industrial city. A new and civilised urban landscape was proposed, whose open environment would contribute to “making the city more and more attractive as a place of residence”. There is something of this 19th-century ambition in 21st-century efforts to cleanse cities of contaminating influences. Both publicly- and privately-sponsored greening of city spaces can lead to the eviction of those some might consider undesirable. 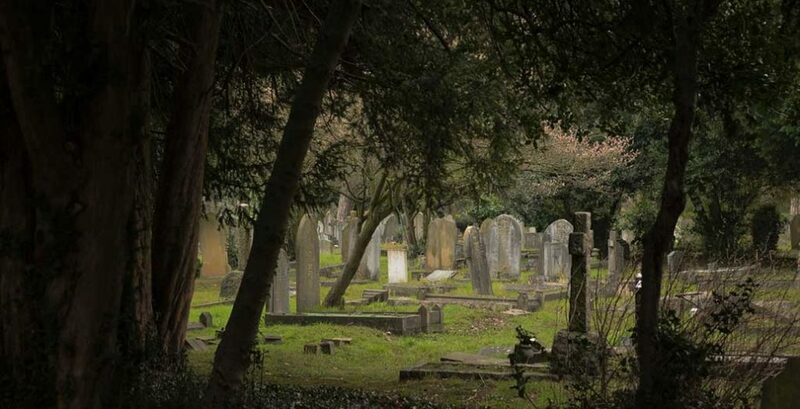 More than half of all the cemeteries in the UK were constructed between 1851 and 1914, encompassing the initial emergence of multifunctional landscaped garden cemeteries, followed by the move to more efficient lawn cemeteries. It is likely a much larger proportion were established in Australia during that same time and following the same fashions. Melbourne General Cemetery, opened in 1853, was Victoria’s first ‘modern’ cemetery, designed like a large public park covering 43 planted hectares with generous walking paths and scenic views. Woodland Crematorium and Cemetery in Stockholm, designed by Erik Gunnar Asplund with Sigurd Lewerentz, is among the most famous and beautiful burial grounds in the world. Although the design evolved during the course of the project from 1915 to 1940, the tranquil, rolling landscape, devoid of graves, echoes some of the aspirations of natural burial grounds. MoMA has exhibited the architectural and landscape drawings of Asplund since 1978. The curators note of Woodlands that the designers wished to “communicate the importance of nature, to which all living things ultimately return”. In 1994, the Woodland Cemetery became one of the few works of 20th-century architecture to make UNESCO’s World Heritage List. Despite recent concerns over the toxicity of modern burial practices, old cemeteries and burials still have potential to contribute to soil and groundwater toxicity. In particular, Civil War graves in the United States contain bodies that were embalmed with various unregulated secret formulas, laced with arsenic. Embalming was a growth industry during the Civil War era, being the best way to preserve bodies to be returned to distant loved ones. Arsenic does not degrade as bodies rot and so is deposited in the soil and eventually groundwater. It is a carcinogen associated with skin, lung, bladder and liver cancers, among other diseases and cognitive deficits in children. Another emerging concern with older graves is rising groundwater levels and higher tides. As sea levels rise with global warming, this could lead to contaminated leaching in the near future. It is already having effects in vulnerable low-lying communities where cemeteries are among land urgently being protected. There are several reasons why natural burials – also termed green burials or green funerals, organic burials, woodland burials and bushland burials – are becoming more popular. However, a consistently strong motivation is to reduce environmental impacts, including direct toxic contamination of existing sites, and the protection of particular landscape ecologies. Natural burial can do this in several ways: digging shallowly without heavy earth-moving equipment, preparing the body without chemical preservatives or disinfectants, using a compostable coffin or shroud or none at all, avoiding burial of any other toxic or non-biodegradable items, having no headstone or high embodied-energy marker, and conducting any services including food, printing, transport, music and more and in a sustainable non-polluting, no- or low-energy way. Landscape architect and academic Andy Clayden of the University of Sheffield, researches the planning, design and management of cemetery landscapes. He has led a team that co-authored the first book to review the history and past 20-year growth of natural burials: Natural Burial: Landscape, Practice and Experience, published in 2014. In a paper last year his team focused on the significant contributions of natural burial sites to ecosystem services in England. The ecological benefits are mirrored by shifting perceptions as “natural burial is transforming the traditional cemetery, with its focus on an intensively managed lawn aesthetic, towards a more habitat rich and spatially complex landscape with its own distinctive identity.” Coupled with an ethical-aesthetic shift in death management, this approach is opening many areas of potential engagement and exploration for designers across the full spectrum of services. A number of organisations have emerged to variously support and oversee natural burials. The United Kingdom’s Natural Death Centre is the oldest, established in 1991 and offering support, advice and extensive links to information for the public. The Green Burial Council in North America, founded in 2005, offers certification as well as education and advocacy. Also established in 2005 is Canada’s Natural Burial Association, serving both the public and burial operators. In 2014 a diverse group of professionals in Australia founded the Natural Death Advocacy Network (NDAN) with a wide remit to advocate, as well as encourage discussion and conduct and disseminate research. One important aspect of natural burials is the covering a body receives. A co-founder of NDAN and passionate advocate for natural burial, Dr Pia Interlandi, has researched the effects of clothing and textiles on decomposition. Her PhD involved rigorous immersion in the rituals associated with preparing the body for interment. Garments from this investigation have been exhibited at the London Science Museum and London Print Studio. In 2012, she started her current practice, Garments for the Grave, where she now designs custom-made biodegradable burial garments with client family participation. 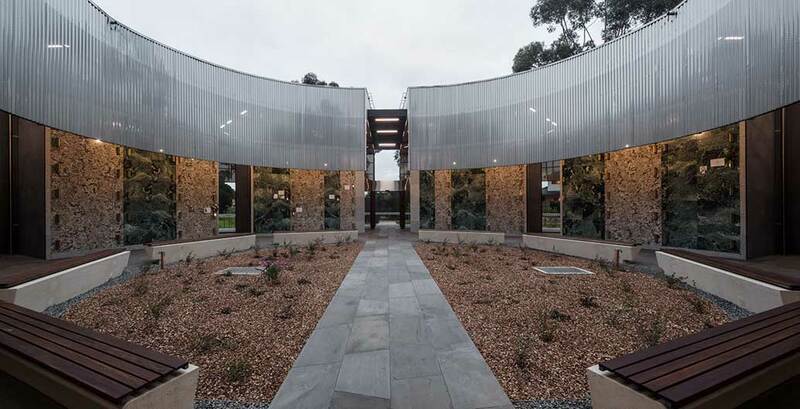 Bushland or natural burial is possible in portions of many cemeteries throughout Australia, although there has been little attention given to their complex landscape design. Two years ago Burnie City Council looked to offer a dedicated natural burial site in Tasmania, acknowledging the rising interest in natural burials while, capitalising on the state’s clean, green image and natural scenery. 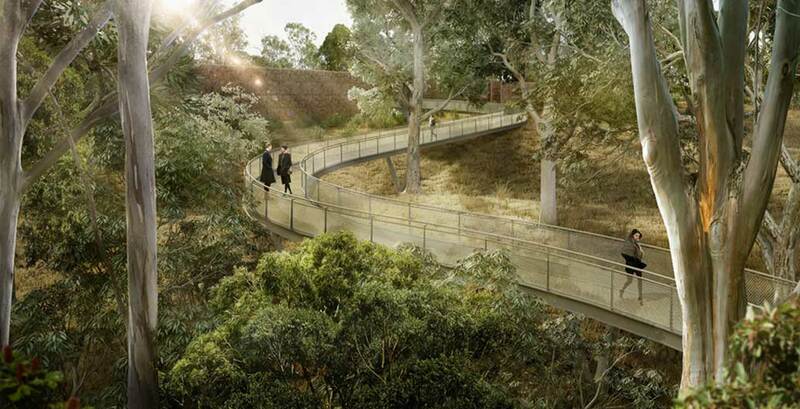 Kemps Creek Cemetery, which includes the Sydney Natural Burial Park, claims to offer Sydney’s first eco-burial area. A different and popular service is being offered in the south-west of Victoria. 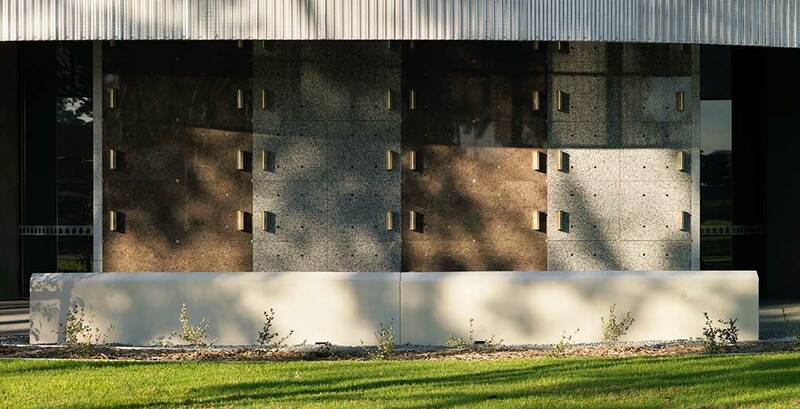 Upright Burials opened in 2010 as Australia’s first vertical burial ground. As well as taking up much less space than conventional burial, the Kurweeton Road Cemetery adheres to many further environmentally-friendly processes such as an absence of any grave-markers. The exact location is GPS recorded and provided to family and friends. Queensland funeral directors advise of two ‘green’ burial sites within cemeteries both operated by local councils: one as part of the memorial gardens at Lismore in northern NSW and another, which is the state’s only registered green burial site, within Alberton Cemetery on the Gold Coast. 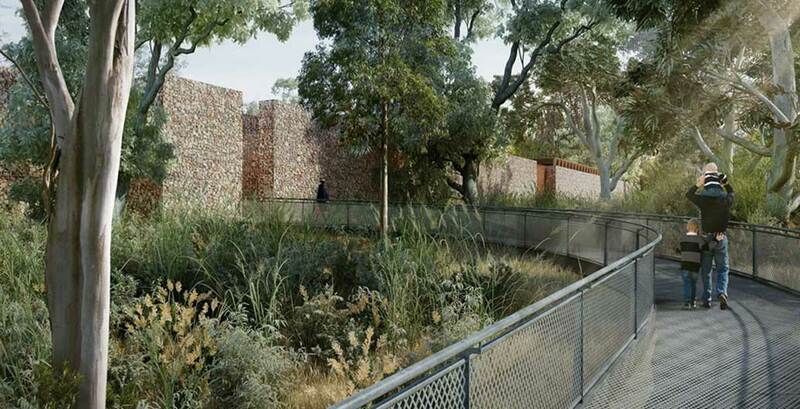 An award-winning master plan for Acacia Remembrance Sanctuary within Itaoui Woodland Park was the first of its type planned in Australia. Developed by landscape architects McGregor Coxall working with Chrofi, the project encompassed 10 hectares of degraded, yet protected bush ecology west of Sydney. The design philosophy looked to establish a model that would not only protect, but reinstate the flora and fauna of the site. It has considered ongoing maintenance as part of full environmental considerations, including having all energy requirements generated on site, on-site water treatment and reuse, and limited slashing of the indigenous grasslands to create pathways instead of introducing exotic grasses and regular mowing practices. 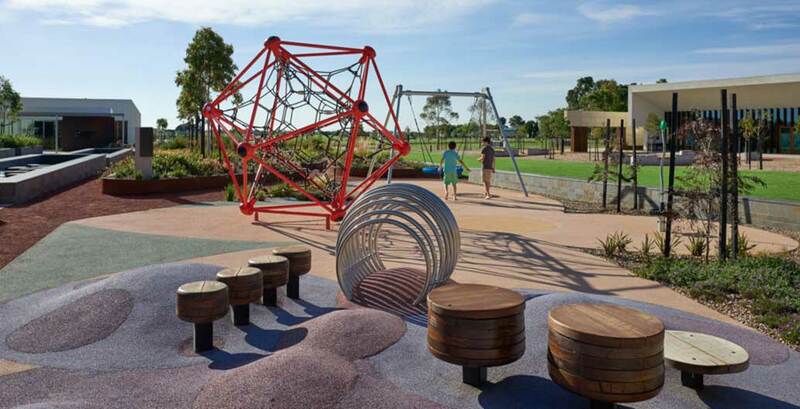 Aspect Studios were responsible for the design of 11 hectares of native gardens at Bunurong Memorial Park, which opened in 2016. 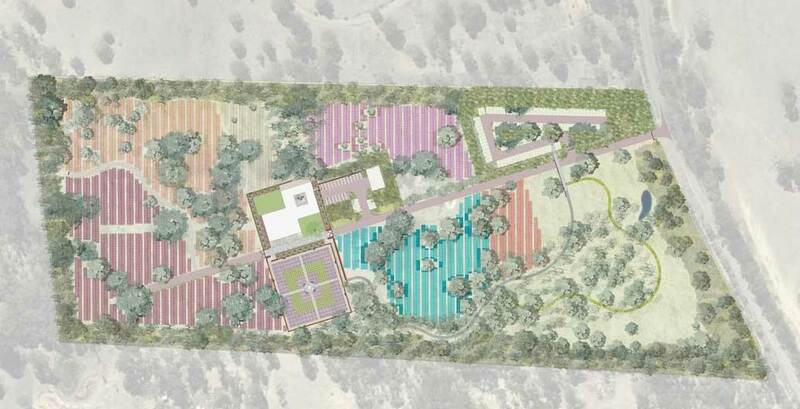 Much like early garden cemeteries, the realised proposal caters for the wider community’s need for open space, accommodating weddings, funerals and fitness groups, as well as picnicking and play. Bunurong also includes a new natural burial area, Murrun Naroon. 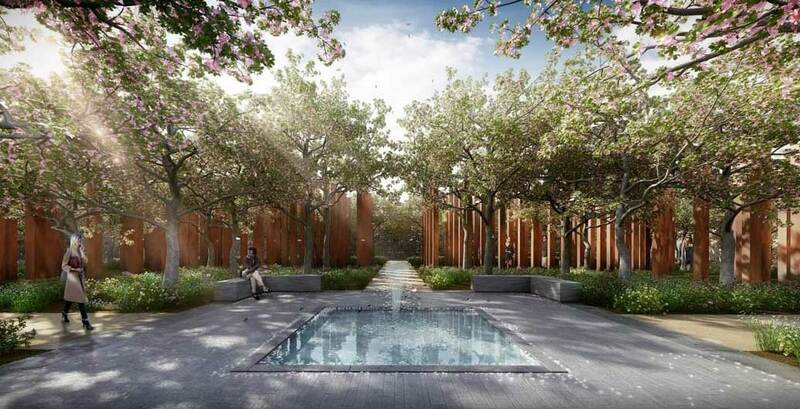 Reconsidered design approaches for cemetery landscapes, both expanding and new, are clearly an important area of innovation that will curb land contamination. However, new building opportunities can also reset expectations. 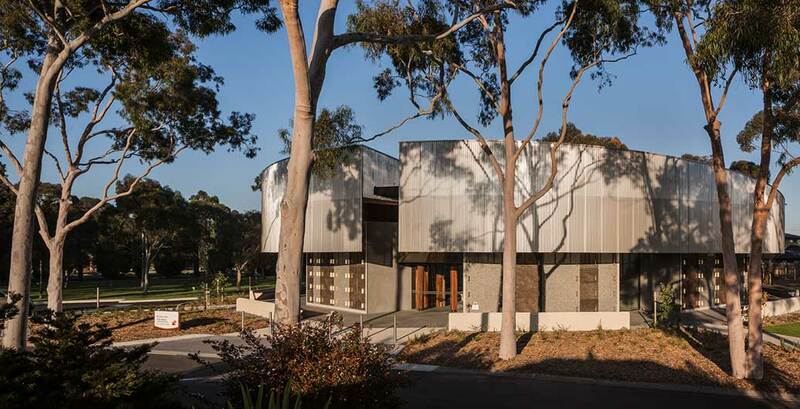 Harmer Architecture’s Atrium of Holy Angels Mausoleum in Fawkner Memorial Park north of Melbourne was a rare chance to interpret a very old form. The nature of mausolea help contain any contaminants by isolating bodies and congregating remains, which takes up less space and resources. Perhaps a similar translation of considered species, ecology and aesthetics is needed, as was slowly adapted when Australian landscape gardeners and designers such as Edna Walling looked to the British ‘wild garden’ of William Robinson. The wilderness of Britain is not the wilderness of New South Wales or Victoria or the many smaller patches of ecologies that Walling became familiar with while documenting roadside vegetation and that changed her approach to landscape design. If the natural burial movement is to achieve its fullest potential to enhance environments, rather than just refrain from harming them, designers should aim to serve both new sensitivities around death and memorialisation, as well as new sensitivities toward our threatened environments.